Home Workouts How to Build Bigger Calf Muscles – Three Killer Tips! 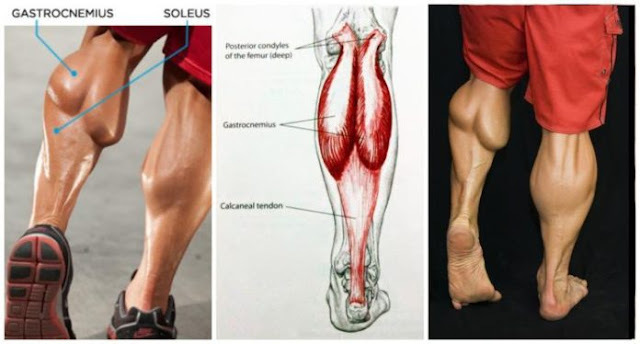 How to Build Bigger Calf Muscles – Three Killer Tips! For most trainees the calf muscle is one of the most prestigious muscles to work on. The reason is, the calf muscle, grows at a fairly rapid rate wants effective training has commenced. For any trainee, this is both rewarding and motivating. Another reason why you might want to build bigger calf muscles is because they are a highly functional muscle group that positively contributes to a higher vertical jump. Therefore, trainees who participate in sports such as basketball, American football, weightlifting and even football might find it desirable to build up their calves as this practice positively contributes to their performance in their respective sports. Trainees looking to learn how to build a bigger calf muscles must be willing to work hard as the training regime tends to be rather a strenuous. Today I will outline three important exercises that will positively contribute to the growth of your calf muscles. One. The first exercise he is the glute ham curl. The glute ham curl is an exercise that works both the calf muscle and the hamstring. The eccentric movement ensures maximum load on the muscle which will leads to microtrauma on the muscle fibers. What this essentially does, is work for muscle hard enough to will ensure growth through intense and challenging exercise. It is recommended that trainees take a gentle approach while doing this exercise is injury is very much possible due to the very strenuous nature of the movement. Two. The next exercise is a very common one. This is the notorious calf raise. However, one of the more effective ways to perform the calf raise is by using a plank or a raised surface to rest top half of your feet in order to increase the range of motion that you go through while performing the movement. Increased range of motion means the muscle works harder, therefore making the exercise much more effective. The calf raise has been an industry favourite for many years because it’s effective. Performing the calf raise in accordance with the glute ham raise ensures that your calves are worked very very effectively resulting in muscle growth. Three. The final exercise will want to talk about is the calf press. The calf press is done on the leg press machine with the target leg fully extended and only the ankle moving the leg press machine. What this effectively does is one work the muscle exclusively as the calf muscle enables the ankle to move in that manner. What I do recommend trainees reading this article to do is to seek advice on the correct way to perform these exercises as they can be dangerous if done the wrong way.